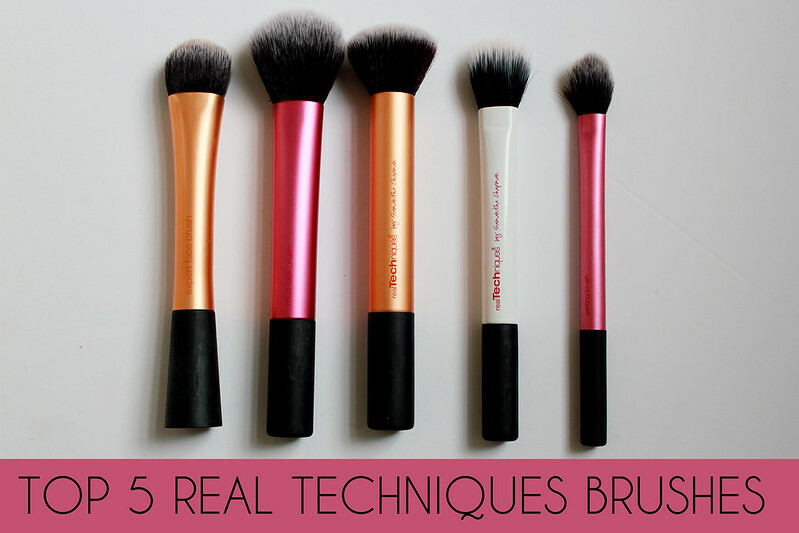 Top 5 Real Techniques Brushes & Cheap places to buy them! It feels like forever since I last did a beauty post! I'm trying to get into doing more beauty posts as you guys absolutely love them! One brand I've loved for well over a year now is Real Techniques. I started off just buying the one brush from a recommendation from a friend at University and after just over a year I've seemed to have ended up buying pretty much all of them! So I thought I'd show you all my top 5! Over the past year or so I've bought Real Techniques brushes from pretty much anywhere! I've noticed recently that HQ Hair sell the brushes quite cheaply and they always have discounts on them. But in general I think the best place to buy Real Techniques brushes are from Amazon! Amazon prices seem to beat everywhere else! 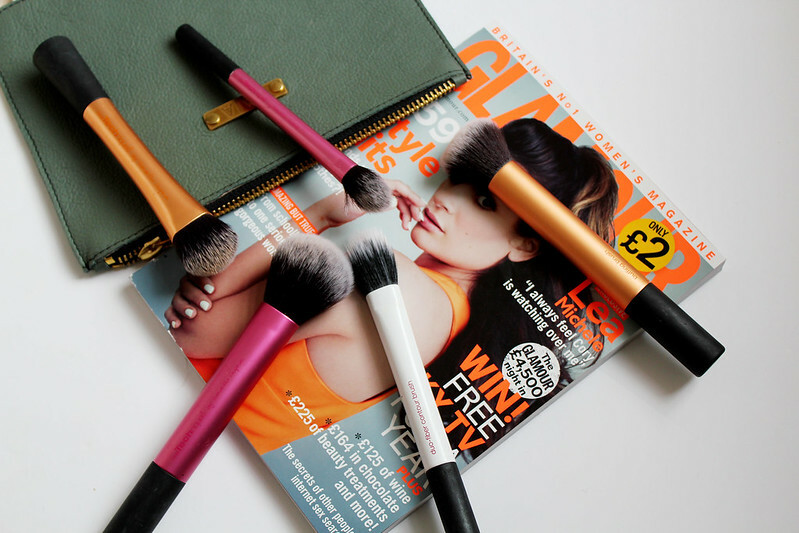 Personally I've bought Real Techniques brushes from Ebay, Boots, Feel Unique & Superdrug! You can't really fault the quality of Real Techniques as they're amazing. I love how affordable the brushes are and how even after over a year of using them when they're washed they feel like you've just bought them. Anyone else love the feeling of using freshly cleaned brushes?! So I thought I'd go into a little bit more detail to why I use these brushes and what I use them for as Real Techniques brushes are very multi-purpose full! 1. Expert Face Brush - Amazon Originally I'm pretty sure I bought this brush from Boots. I've noticed that on Amazon the price of this brush changes all the time so it's worth keeping an eye on it! I bought it at full RRP at £9.99 but on Amazon I bought another one for about £6.50 (I think!) This brush is worth paying full price for but If you want to save a few pennies check on Amazon! I use the Expert Face Brush for simple foundation application and occasionally concealer. Ever since buying this brush I don't know how I've survived applying make-up with out it! 2. Multi-Task Brush (Part of the Travel Essentials Kit) - Amazon I bought this set off Amazon for about £14 and It's currently available for £13.28 when the RRP is £21.99! Which is an absolute bargain. I absolutely love the multi-task brush. I use it for bronzing, contouring but most importantly for powder as I find the powder brush by Real Techniques is too big for my face. 3. Duo Fibre Contour Brush (Part of the Duo Fibre Collection Set) - Amazon I actually bought this set off Ebay! Luckily enough I've actually just found the seller which I bought these brushes from here where you can grab these brushes for £17 instead of £23.99! I find that if you search around a little online you can save yourself a few £'s on these brushes! The duo-fibre contour brush is my favourite from this collection as it's perfect if you don't want much product on your brush as it only picks up a light covering of it which is perfect for contouring when you want a 'natural' look. 4. Buffing Brush (Part of the Core Collection Set) - Amazon One thing I shall say if you won't find the Core Collection Set any cheap than it is on Amazon. You can currently snap this set up for £14.65 when it normally retailers for £21.99! This is probably one of the best things I've ever bought make-up wise. You can read my full review on the set here. 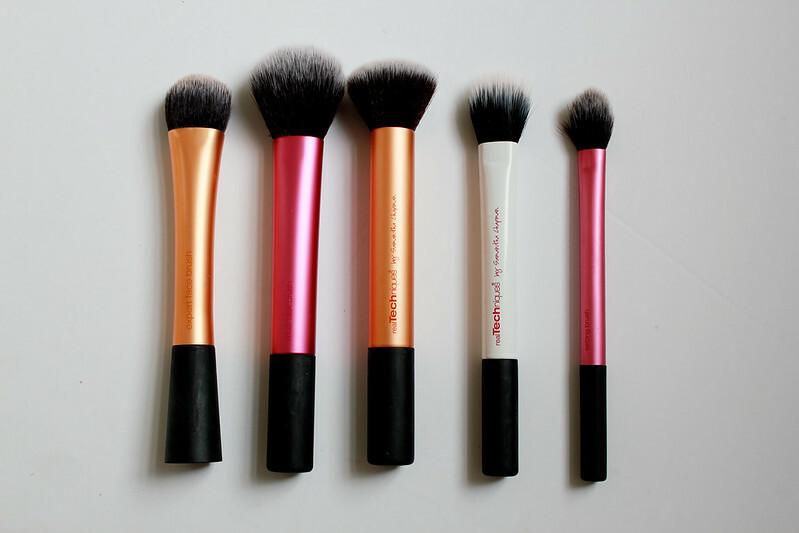 The buffing brush is my favourite from this collection. I use it pretty much everyday to apply my foundation! 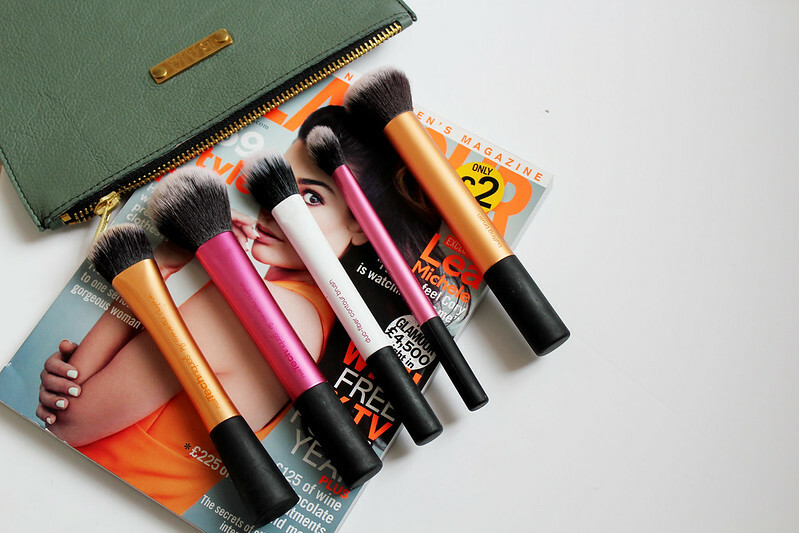 If there's one make-up brush set you buy this year make it this one! 5. Setting Brush - Amazon This brush is pretty much a miracle brush. I use it to apply concealer with but sometimes for bronzing or using for powder when I don't use the multi-task brush! Love the real techniques brushes , they are the best ! I love the powder brush from RT, it's probably one of my favourite brushes. I love Real Techniques brushes, great post. 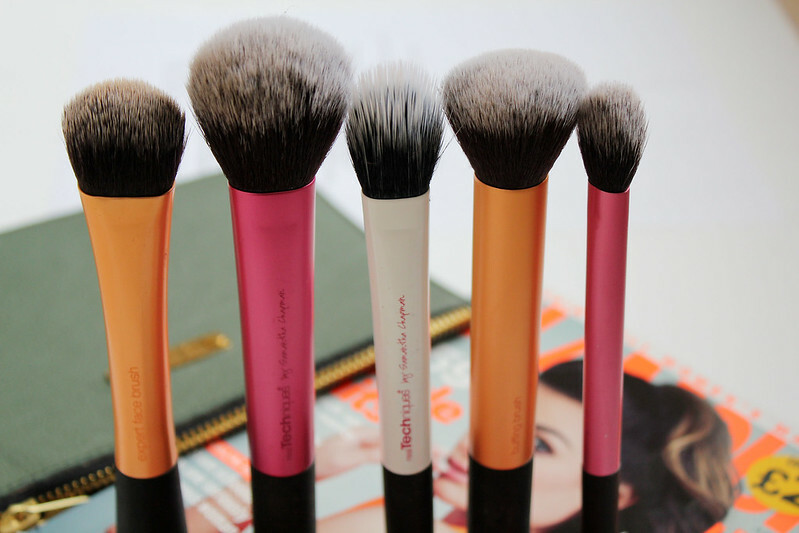 Best brushes I've ever tried. Love your post! acutally the cheapest place to buy real techniques brushes is iherb.com they ship internationally! example the core collection is there for 10 pounds and some changes, so is the essential kit 10 punds and changes and the duo-fiber limited edition set is 11 pounds and changes! and with the code QZR184 you get 5-10dollars off your whole basket! and every single real technique brush is there on ridiculous price they're so cheap! and the e.l.f products omg! you can't get them cheaper from anywhere! sorry from my bad english im from finland haha :) but you should check the website and maybe edit this post and let all your other readers know from this website! the shipping is fast (they send the items from US and i live in finland and i got the brushes in about 5 days) and the shipping is super cheap as well! !